New York, N.Y., November 12, 2014 – Manhattan Concert Productions is proud to announce the following acclaimed cast and creative team for the third installment of its Broadway Series in 2015, a concert performance of TONY Award-winning Parade at Avery Fisher Hall, Lincoln Center on February 16, 2015 at 8:00 p.m. Three-time TONY Award winner and original composer, Jason Robert Brown will conduct a star-studded cast and full chorus, joined by Olivier Award nominee Gary Griffin as director, and Tom Murray as music supervisor. Further cast and creative team announcements to follow. 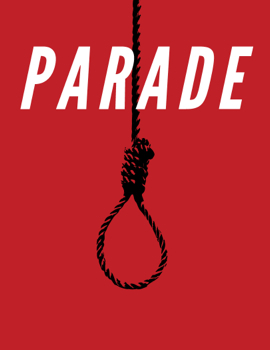 Following the success of Titanic earlier this year, and Ragtime in 2013, Manhattan Concert Productions will bring the Drama Desk and TONY Award-winning score of Parade back to Lincoln Center, where it all began in 1998. 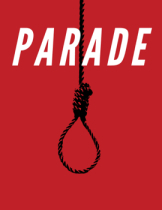 The concert performance of Parade will feature a chorus of over 200 singers from across the United States; the enlarged forces of the New York City Chamber Orchestra; and a full professional Broadway cast. Tickets, starting at $50, are currently on sale and may be purchased by visiting www.mcp.us; visiting www.lincolncenter.org; calling CenterCharge (212) 721- 6500; or visiting the Avery Fisher Hall box office at 10 Lincoln Center Plaza (Columbus Avenue at 65th Street). Manhattan Concert Productions is an esteemed production company in its 16th season. MCP has provided opportunity to thousands of musicians in choirs, bands, and orchestras that have performed at famous venues throughout the United States and many countries abroad. Additionally, MCP regularly features the work of professional singers, actors, instrumentalists, conductors and composers. The guest musicians of the Parade chorus will spend five days in New York City rehearsing and performing side-by-side with the professional principal cast and crew as part of Manhattan Concert Productions’ continuing mission of student and professional collaboration. Visit www.mcp.us to learn more.